Greetings Dear Brethren, Sisters, Fellow Ministers, Neighbors and Friends. Rev. Dr. Shellie Sampson Jr. 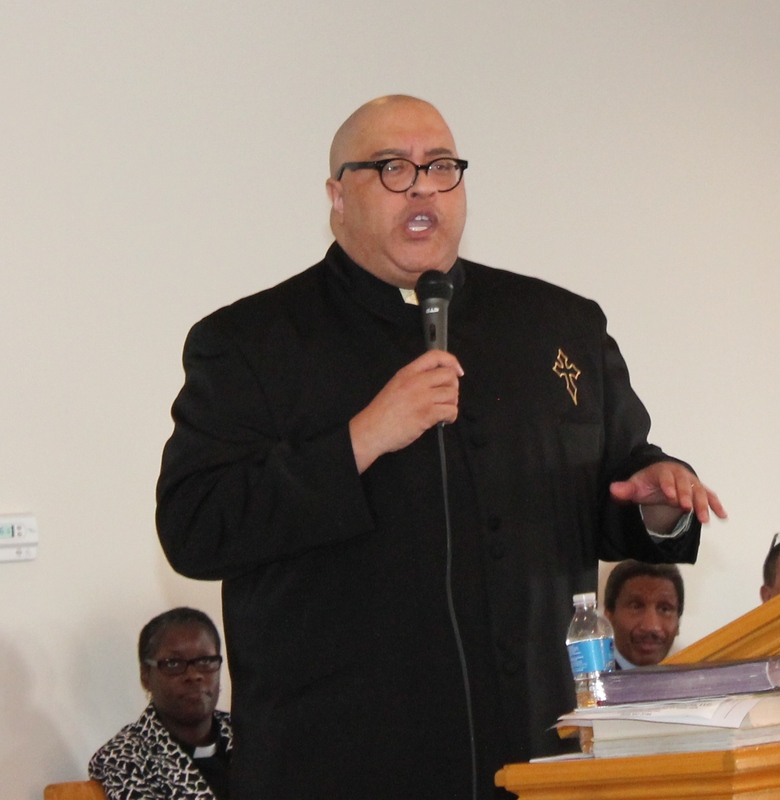 The Reverend Dr. Shellie Sampson, Jr. is a native of Newark, New Jersey. He has resided in New York state since 1982. 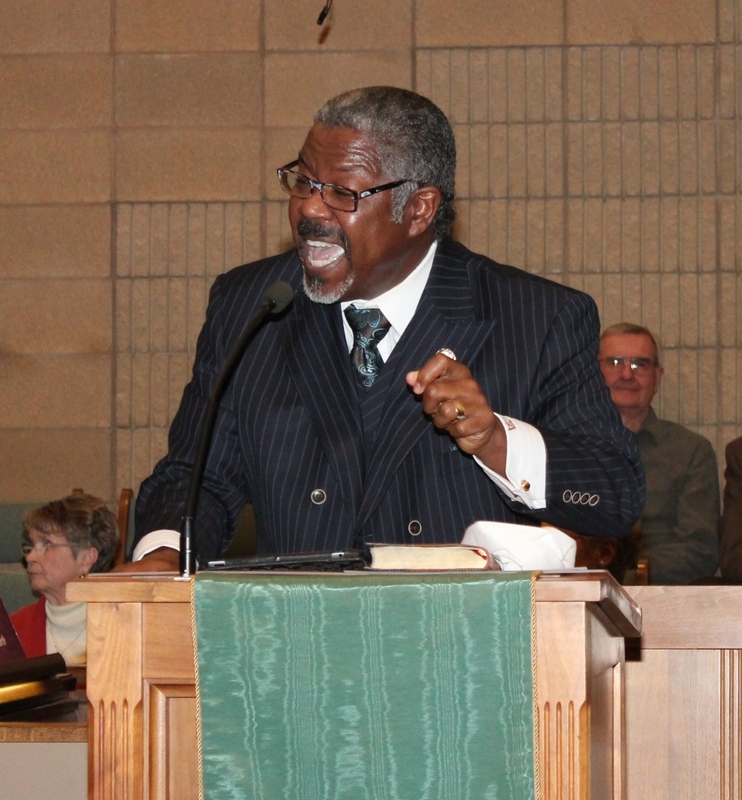 Dr. Sampson has been the Pastor of the Thessalonia Baptist Church since 1982 and in ministry for over 30 years. In addition to being an anointed and revelatory teacher and preacher, he is also a gifted pianist and Christian Education author. Dr. Sampson is married to Deloranzo Sampson, Headmistress of the Thessalonia Academy and Veteran of the United States Air Force. STATEN ISLAND, N.Y. — The Rev. James Seawood, pastor of Brighton Heights Reformed Church, died Sunday morning at Robert Woods Johnson Medical Center in New Jersey, according to Rev. Terry Troia, executive director of Project Hospitality. Rev. 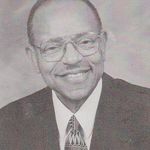 Seawood was a former faculty member and dean at New Brunswick Theological Seminary, He was only the second black person to ascend to the General Synod Presidency of the Reformed Church in America and served on the General Synod Council of the RCA upon his retirement from office. He was the immediate past president of the Staten Island Council of Churches and a board member of Project Hospitality. He was a U.S. Army Chaplain and served in the active reserves. He did tours of duty in the Gulf War and in a Afghanistan or Iraq post 9/11. He was a civil rights leader, as was his mother; she died in December. Rev. Seawood was one of the first black students to integrate Little Rock High School in the 1960s. His mother was the sole black teacher for the Little School House for colored children in Little Rock. 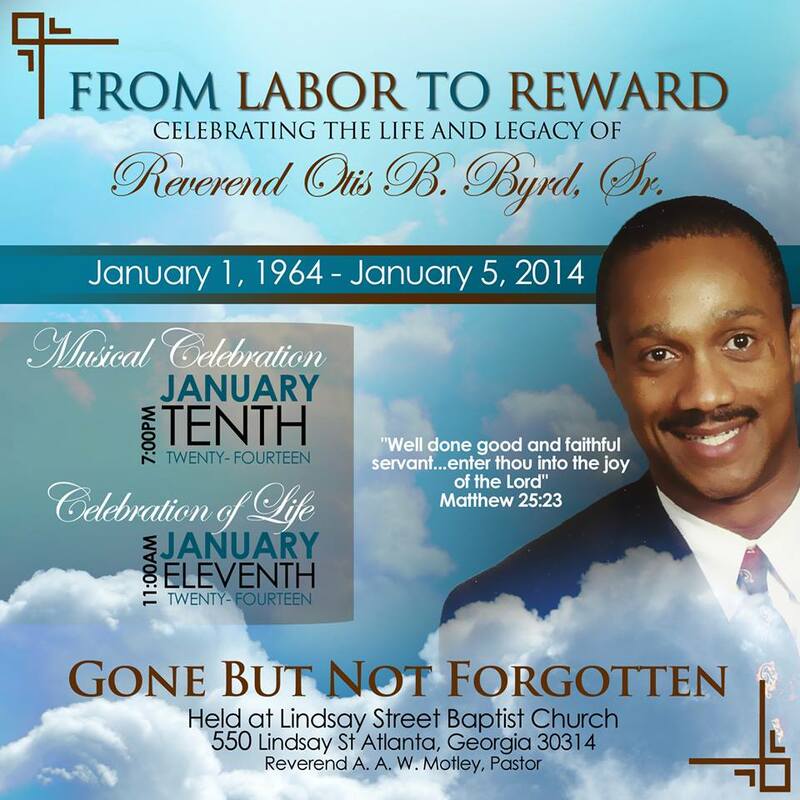 He was the former pastor of the Eighth Avenue Baptist Church in Pine Bluff, Arkansas. Further information — including funeral arrangements — will be posted as it becomes available. A complete obituary will follow. INFORMATION From : http://www.silive.com/news/index.ssf/2014/01/rev_james_seawood_pastor_of_br.html and Rev. Marvin Wiley, Maywood, Illinois. Homegoing services were held today, Saturday, January 11, 2014 for the Reverend Wilbert H. Goatley, Sr., 83, who went home to be with the Lord on Thursday, January 2, 2014. Rev. Goatley served as Pastor of First Baptist Church in Eminence, Kentucky and was serving as the Pastor Emeritus, after his retirement. He is survived by his wife, Verlene Farmer Goatley; children: Rev. Wilbert Goatley, Jr. (Dionne) and Rev. David Emmanuel Goatley (Pamela); seven grandchildren; one great-grandchild; and a host of extended family and friends. Services were held at Eminence Independent School and burial at Cave Hill Cemetary. In lieu of flowers, the family request contributions be made in Rev. Goatley’s memory to the Lott Carey Baptist Foreign Mission Convention, 220 I Street N.E., Suite 220, Washington, DC 20002-4389. Services were held Saturday, January 11, 2014 at Eminence High School, Dr. Bill R. Hollins, officiated and Rev. Charles H. Duncan, Jr. delivered the eulogy. Dr. Goatley was born March 10, 1930 to John and Effie Goatley. He was called to serve the First Baptist Church of Eminence where he served until his retirement on October 31, 2003. He served as Pastor Emeritus until his departure from this life. 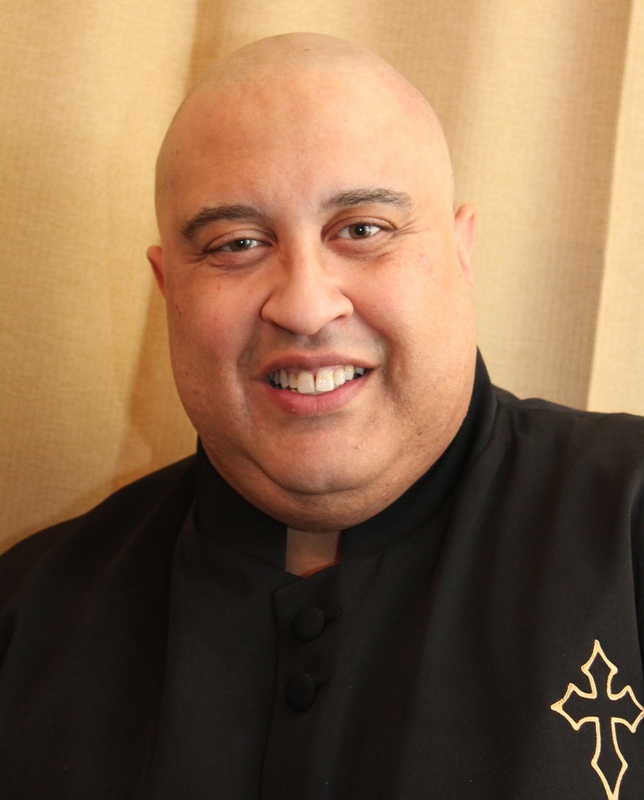 He began his journey of faith at the Zion Baptist Church of Louisville and acknowledge his call to ministry, being licensed and ordained under the pastorate of Dr. D.E. King. He graduated from Central High School and was among the pioneer African-American students sent from racially segregated LMC to the University of Louisville. Upon graduation he was among the first African-American students to graduate from The Southern Baptist Theological Seminary. During his life he was an instructor at Simmons Bible College; Director of the Baptist Fellowship Center in Louisville; Superintendent of Missions and Moderator of Central District Baptist Association; Auditor and Vice Moderator of the General Association of Baptists in Kentucky; and various other capacities. Arrangements entrusted to A.D. Porter & Sons, 1300 W. Chestnut Street, Louisville, Kentucky. Happy New Year everyone. I am reminded of one of the teachings of the New Testament: “And the things that thou hast heard of me among many witnesses, the same commit thou to faithful men, who shall be able to teach others also.” (2 Timothy 2:2). I am troubled by that directive because it looks more and more like that it’s not being followed. Some of the things that are being accomplished in the Lord’s church is grand and historic and should be applauded. We have bigger sanctuaries, seven-days-a-week churches, more polished worship experiences. But where we may have dropped the ball in some instances is the transference of the doctrine of the church into the hands of faithful folk. In other words, those who are in our frame of reference in many cases are looking at the spotlight but ignoring doctrine. I’m not talking about procedures and polity within any denomination – I mean the Word of God. The expressed Word. The Word that has matriculated through generations. I’m not talking about who sits in our pulpits nor am I talking about whether a church has a dance team or praise team – I mean the Biblical preaching and teaching of the Word of God. I admit that sometimes it’s not going to be flashy. Most passages that relate to our human narrative can be self-examining and painful. However, if the doctrine is passed down from the prior generation to this generation, we have the obligation as pastors to pass it on – however, the onus is then upon those who receive it, to absorb it, handle it correctly, and then it to others also. Preaching has to be solid. I’m sorry, it just has to be solid. Nothing is worse than sitting in an audience and hearing an unprepared preacher. Singing cannot substitute lack of preparation. A great, gregarious personality cannot substitute lack of research and proper proclamation. Even gifts in other areas cannot and should not be acceptable as an excuse for not preaching. Preaching means preaching when you or your message is not popular. Preaching means that preparation is more important than your celebration. Preaching means that you have to preach the whole book, not just a few passages. Preaching means telling truth from the text instead of your opinions. Preaching means helping people with the Word and not trying to psychoanalyze them from the pulpit. Preaching means telling the old, old story in a contemporary fashion to generations in the crowd. This is not a play thing.